When it comes to Holland America Line’s new ship, ms Koningsdam, there’s been a lot of attention paid to its innovative entertainment options such as the Music Walk, which includes Lincoln Center Stage, Billboard Onboard, and B.B. King’s Blues Club. But lucky for foodies, the culinary experience has also been extensively rethought with a theme of authenticity. During a recent cruise, I talked with Holland America’s Master Chef and Culinary Council Chairman, Rudi Sodamin, who explained that paying homage to Holland America’s Dutch heritage, creating more engaging experiences for guests, and connecting better to the ports of call were some of the goals of the changes. 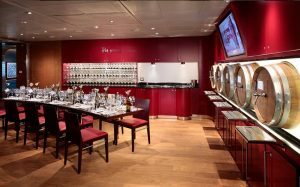 Highlights including the pistachio gelato made on board from Sicilian pistachios and the savory Duck Cassoulet in Sel de Mer restaurant may be enough to have me booking another cruise. 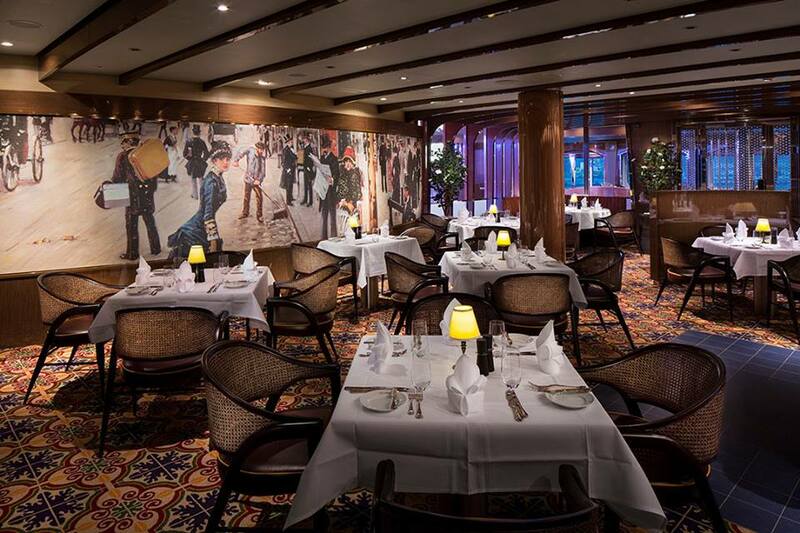 Sel de Mer is the latest upscale restaurant for Holland America, which debuted on Koningsdam. This is a real French brasserie in every way, from the black and white traditional uniforms to the Paris street scene painted along one wall to the chalkboard out front with the trolley displaying the daily fresh fish specials. Since it’s limited to only around 40 seats, the chefs at Sel de Mer will be venturing into port to find the local catch of the day for that night’s special. So in the Caribbean it may be red snapper or grouper, in Alaska it may be local halibut or salmon. It’s the perfect way to get a deeper dive into the local experience. 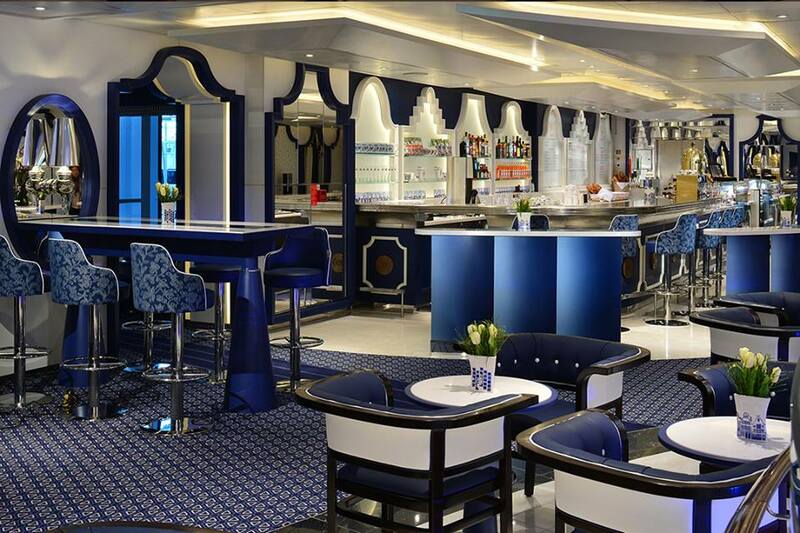 Sel de Mer will be appearing as a pop-up restaurant throughout the fleet over the next year. 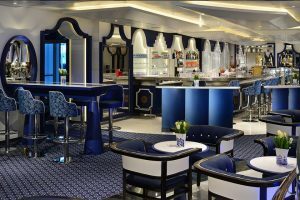 Grand Dutch Café is a tribute to Holland with its blue and white color scheme and architectural elements that emulate the rooftops of Amsterdam. It serves a variety of Dutch specialties from pea soup to poffertjes (mini pancakes) to Koningsbols (like a chocolate éclair only better!) Dutch beers and liquors are also available and I love that there are plenty of seating options from stand-up bars for a quick coffee to a lovely alcove that feels like a verandah on the street in Amsterdam. This was one of my favorite spots to get away and sip a latte. 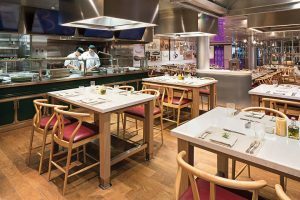 The Culinary Arts Center has been completely transformed on Koningsdam and is an immersive and intimate experience for cooking classes during the day. At night it becomes a charming farm-to-table restaurant with the chef engaging with the diners explaining the preparation of the meal. There are a couple of main course options and the rest of the menu is a set five courses of smaller, healthy dishes where the individual quality ingredients take center stage. Each course features sprouts, vegetable shoots, and cress grown in the onboard garden, which is located next to the dining room. For those of us who consider wine an essential part of our dinner meal, there is BLEND, a unique wine-blending experience. Stop by and have the onsite wine sommelier help you combine your own unique blend from the five single-vintage varietals on tap. They’ll then bottle your creation to take for your dinner at any of the restaurants on board or to take home as a souvenir.